StreamSweepers and the Center for Natural Capital, its parent group, and its Board of Directors thanks the Charlottesville Area Community Foundations Dave Mathews Band BAMA Works Fund for selecting StreamSweepers to receive financial assistance for 2016 Central Virginia river cleaning, assessment, and maintenance work. “Rivers are our life blood –thanks for supporting the continuous cleansing of them”, noted our Chairman Ed Bain upon hearing of the Foundation’s award. We really appreciate the support of this wonderful foundation. Go BAMA! 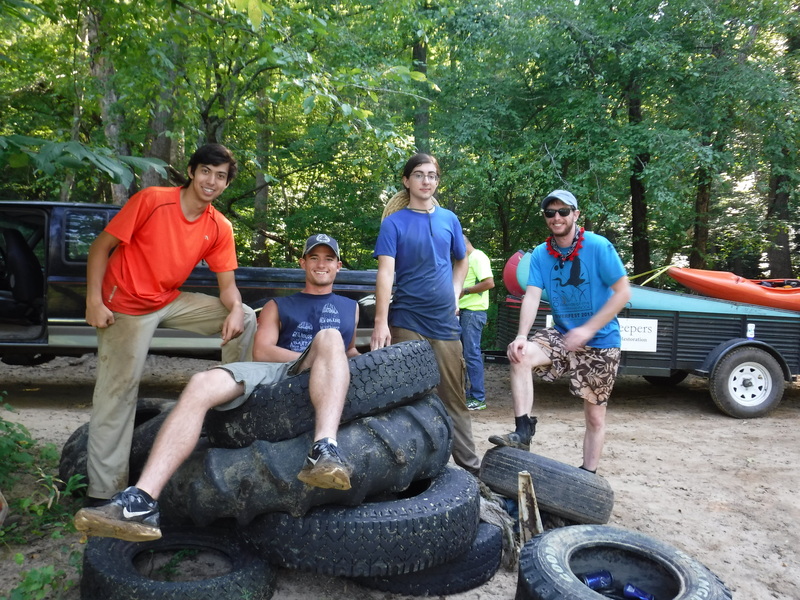 In mid-July as the StreamSweepers crew was moving down the Rapidan River in the area near Raccoon Ford they discovered a tire like they had never seen before. 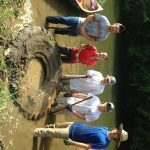 On first glance it looked much like the large tractor tires they routinely find, but on further inspection and digging, it became apparent that this tire was over 6 feet in diameter and about three feet wide and mostly submerged in unyielding sediment and heavy muck. 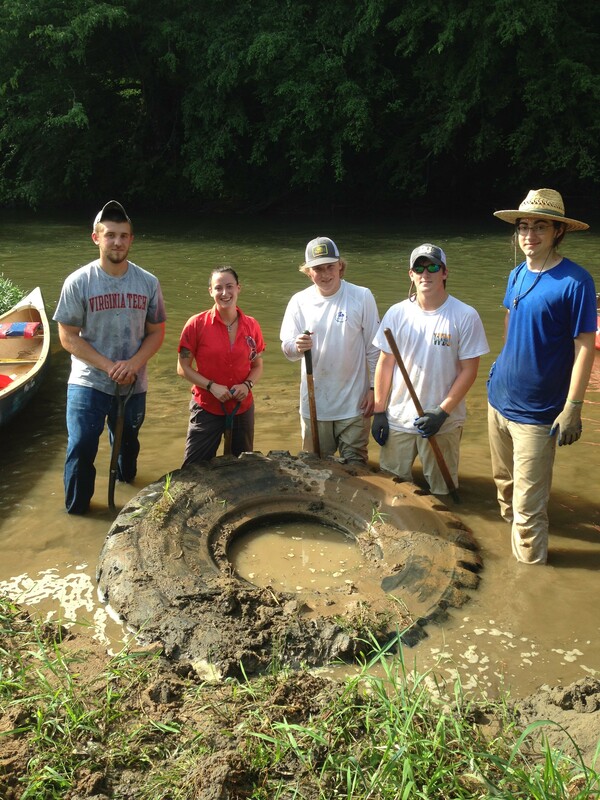 After spending about a half hour sizing up the situation and knowing that there was a lot more river to cover that day the StreamSweepers crew knew that this tire would have to be revisited. A plan was developed and a day was scheduled to go after the big tire. 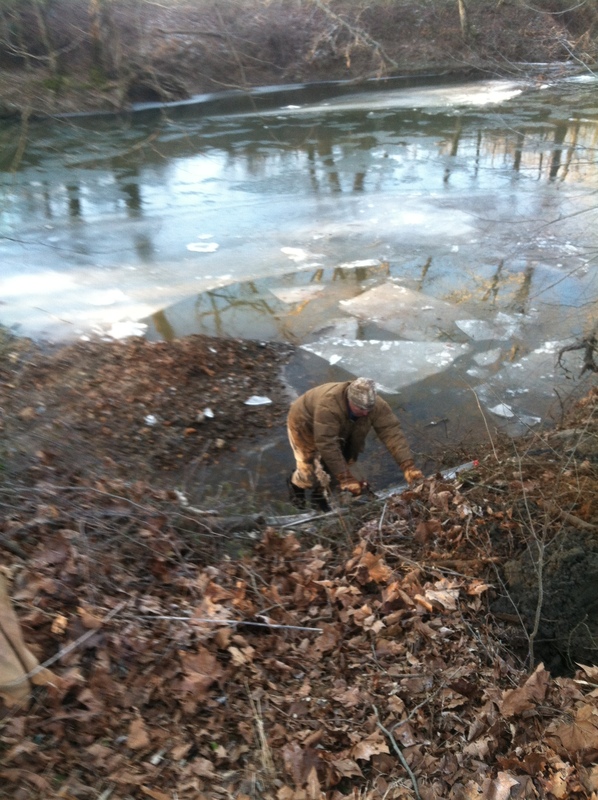 Needless to say after 5 hours of work with 5 people the crew was only able to get it to budge about an inch. 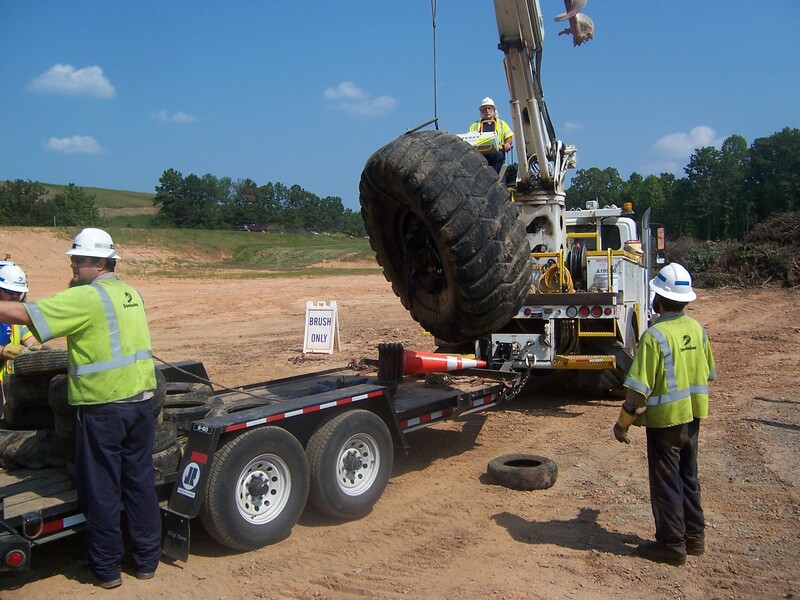 Determined to have this tire removed from the river, the crew began to consider who they knew that might have the proper equipment to get the job done. StreamSweepers called on Dominion Energy as their Foundation has been a supporter of the program. Their construction crew based in Orange was eager to help! 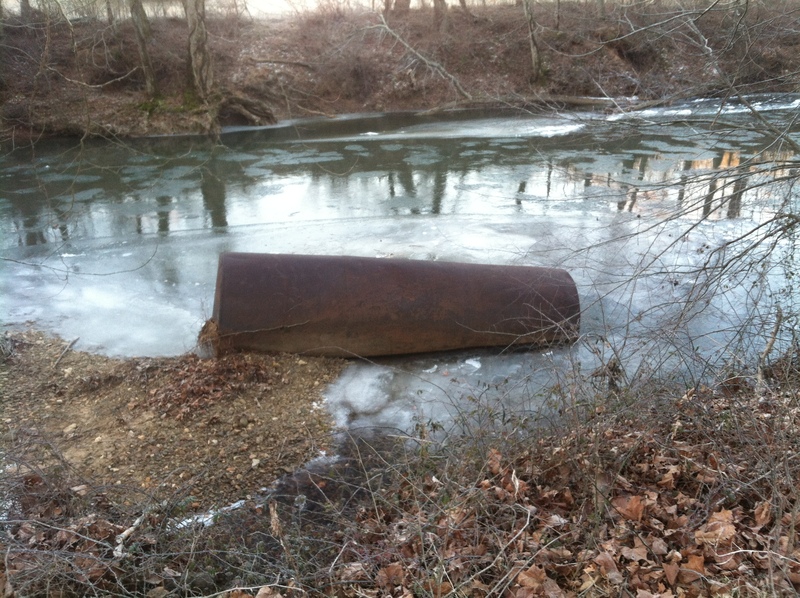 Below are some photos and videos of their skilled efforts which resulted in a big clean up for the Rapidan. We’re grateful for the can-do spirit of this group who worked voluntarily to get the job done! Today, the 2015 StreamSweepers completed the first comprehensive assessment and cleaning of entire major river valley in Virginia. 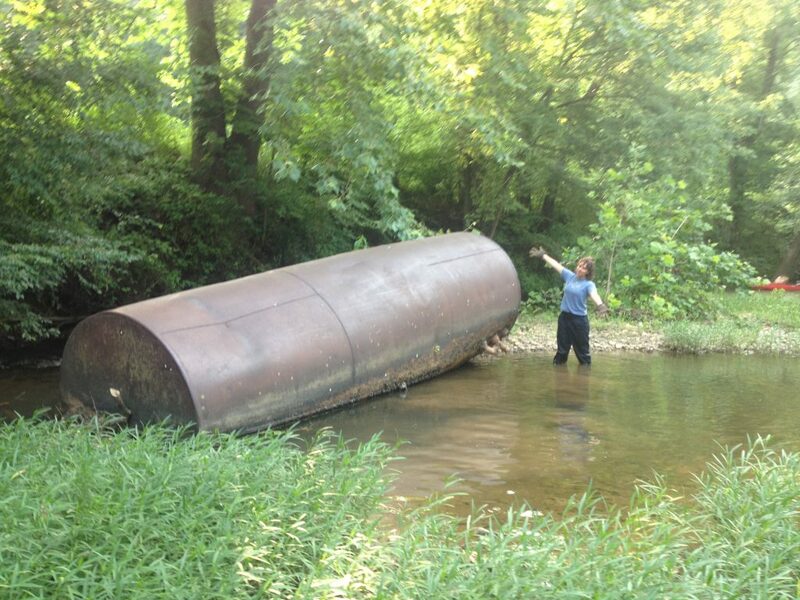 This vision, conceived by a small group of residents from Orange, VA to assess and clean the entire Rapidan River from Shenandoah National Park to Fredericksburg, was made possible only through the generous support of Rapidan and Robinson River Landowners and StreamSweepers Supporters throughout Virginia. 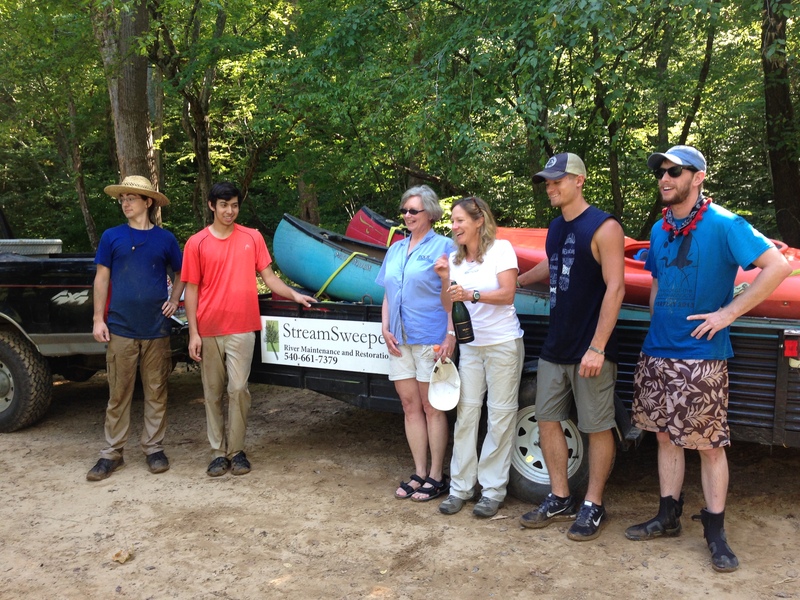 After 100 miles of work spanning three years, Sweepers came to the end of their journey, at the confluence of the Rapidan and Rappahannock Rivers. In this year alone, 11 area college and upper high school students were employed full time during the summer to assess the condition of the river valley and sweep junk from the river’s bed and banks. Over $13,000 in training and fieldwork payroll was provided to these young men and women. 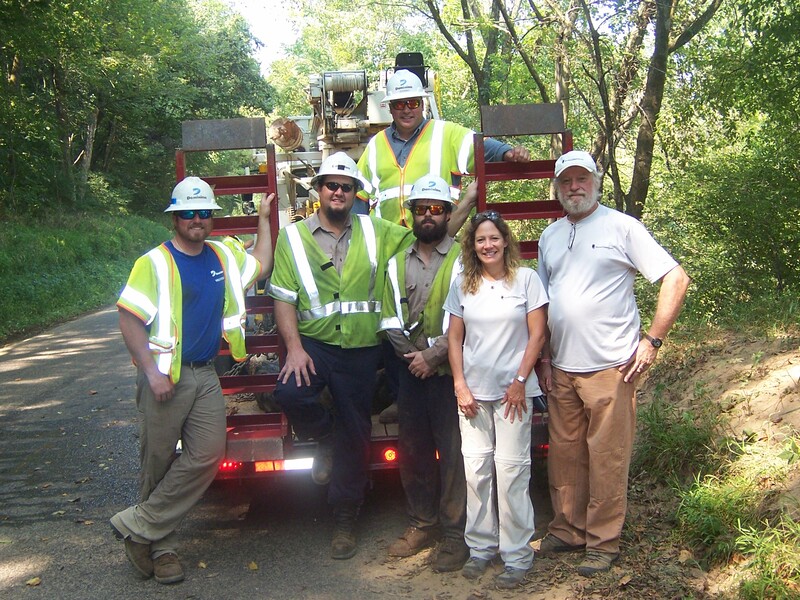 In the weeks ahead, information on the health of the Rapidan River Valley will be published and presented to landowners and other supporters of this job corps program.